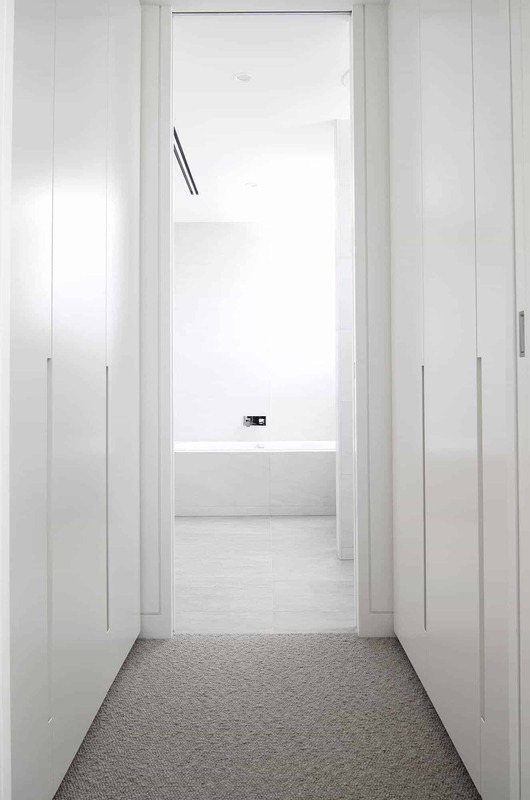 All of the cabinets at Touch Wood are constructed from high moisture resistant materials in order to sustain varying household conditions. 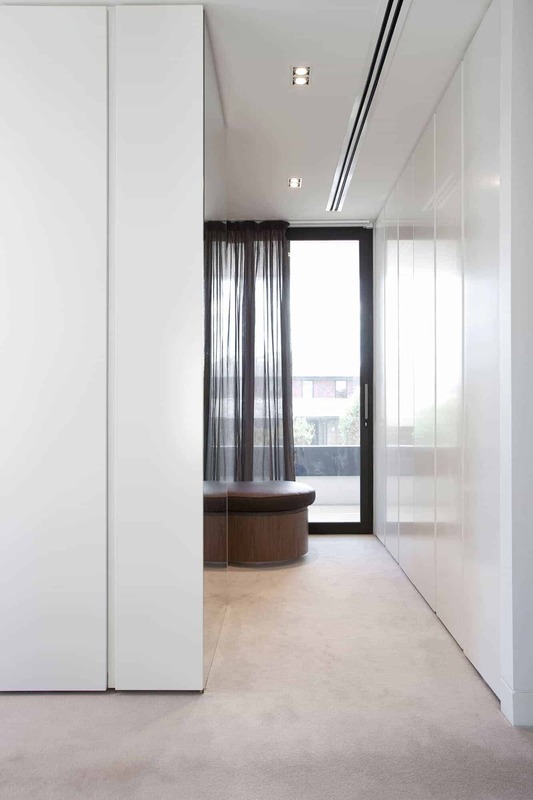 Our custom wardrobes are assembled using a tongue and groove system that eliminates the use of brads and nails, instead utilising only screws, providing better structure, stability and accuracy. The finished carcasses are connected to one another using nuts and bolts, not with standard chipboard screws, but plastic cups. This minimises the chance of malfunctions and ensures a sturdier project outcome. Additionally, we safeguard every shelf over 750mm in length by using 25mm thick boards, as opposed to 16mm boards, typically used by other companies. This is to prevent sagging of shelves due to the weight of the contents. 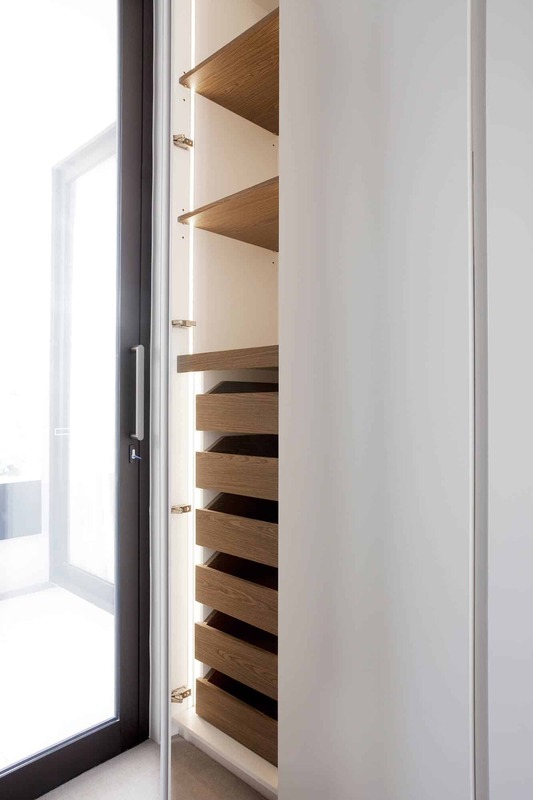 Our drawers are equipped with under mount, soft closing, concealed runners providing a very clean, minimal look, so when the drawers are opened, no hardware is exposed. The drawer itself is put together using the same tongue and groove system, eliminating any visible screws or nails. 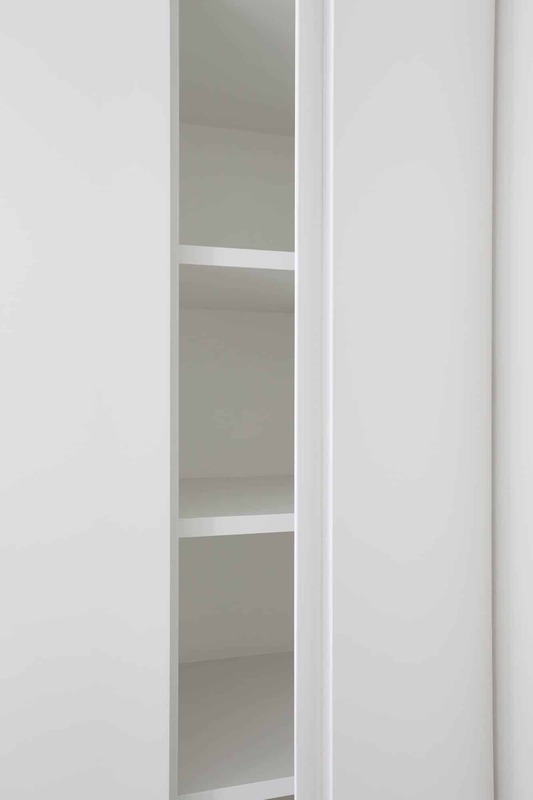 We also have our own steel fabrication facility, allowing us to reinforce our cabinets for cantilevered items such as suspended cabinets, wall hung units, and concealed shelf fixings. 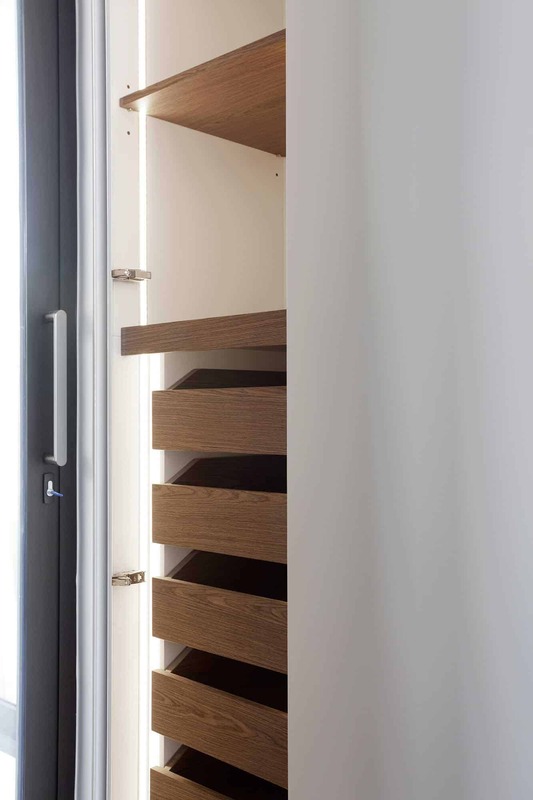 At Touch Wood we take pride of our research and development, allowing us to be innovative and relevant, creating new systems and unique hardware such as finger-pull channels, LED lighting, extrusions and wall panelling mounting brackets that are limited and special to Touch Wood exclusively. We therefore do not rely on the availability of hardware from the market, and off the shelf items as we develop our own to provide a solution to any design challenge. Touch Wood uses only the most leading brands in the market, such as Blum and Hafele. The hardware supplied by these companies come with a lifetime warranty from the supplier themselves, and are all made in Europe to ensure the highest possible quality products. 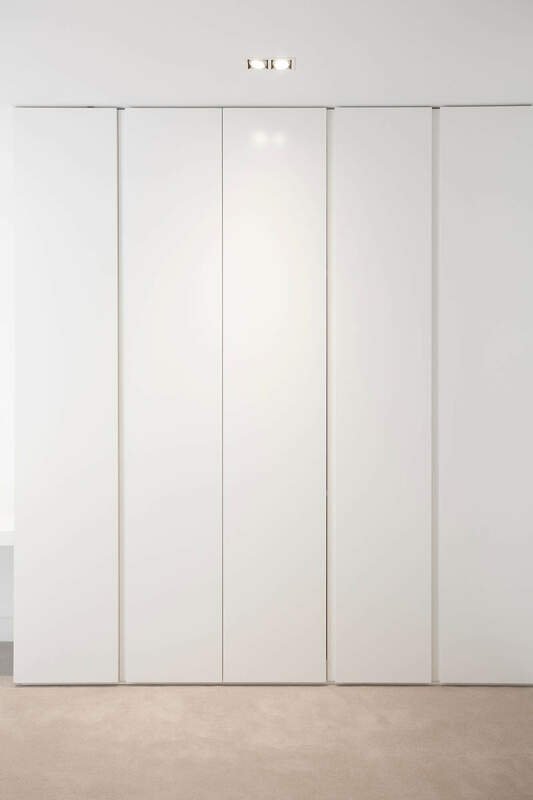 In order to accommodate all of our clients needs when designing a custom wardrobes, we offer interested individuals the option of having LED lighting installed all throughout their cabinets; this includes lit hanging rails and shelves, and if requested the availability to run LED lights throughout the sides, above or underneath cabinets, for shoe or bag collections. We also integrate tie and trouser racks to store your favourite garments neatly and enhance accessibility. All the wires are preassembled at our factory in a concealed way to eliminate the use of electricians. All we require from our clients is a standard power point in an agreed location which will provide the ability to connect our systems. All sensors, switches, and movement sensors can be supplied and installed by us. Another option our team provides is the installation of a unique illuminated mirror for designated make-up and hair areas. We can also design and install ‘smart drawers’ that have power plugs inside for hair and makeup tools, electric toothbrushes, etc. At Touch Wood, we take pride in our unique design and innovation. 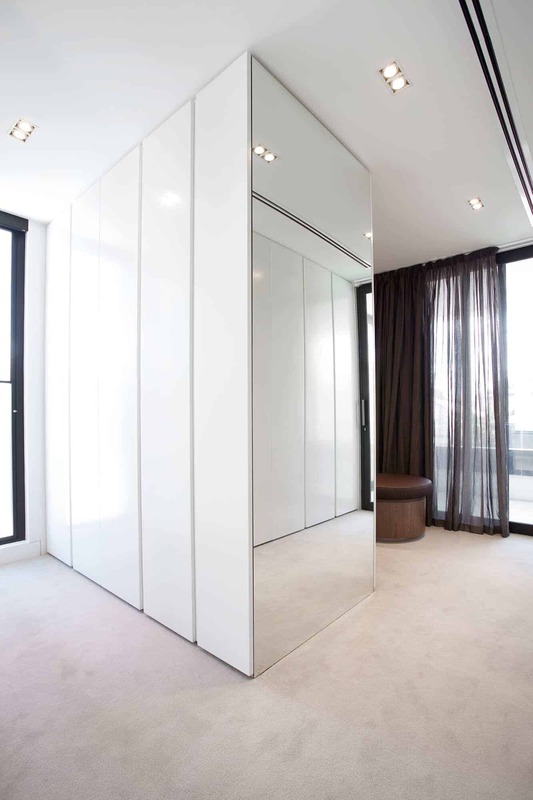 We ensure that we are constantly up to date with all the latest materials and trends available for custom wardrobes worldwide. 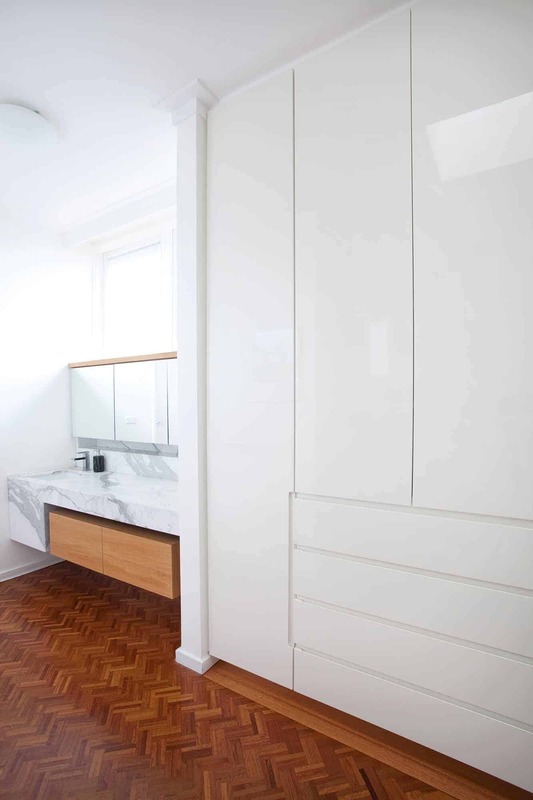 Nothing is too difficult for our design team, we are capable of working with a variety of materials such as steel, glass, mirrors, aluminium, leather, crop plating, brass and copper. For interested clients we also offer options to flock robe drawers with velvet for watch collections, cufflinks and jewellery to ensure their safekeeping. 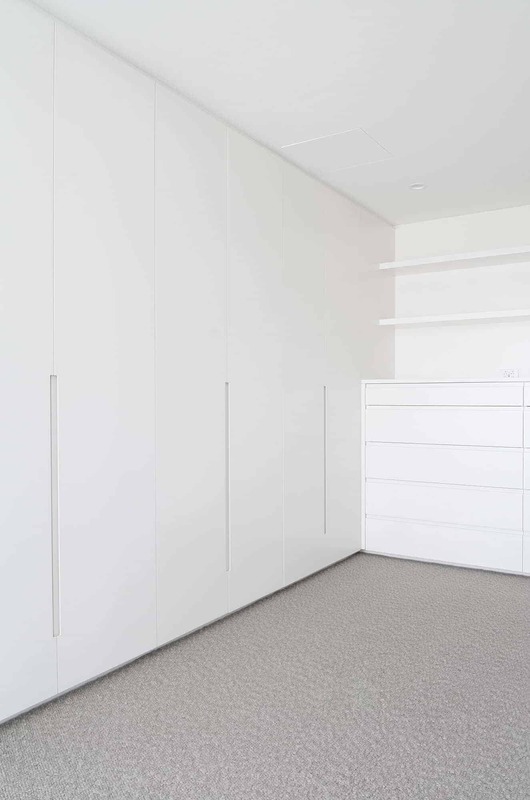 Additionally, we can provide clients with pull down hanging rails for extra high storage and hanging garments, to ultimately maximise the usage of space. There is no request too complicated for our talented design team, and we must reiterate that we tailor our projects to suit each individual customer and their budget. With Touch Wood we will ensure you receive not only the best value for your investment, but the highest quality deliverable.